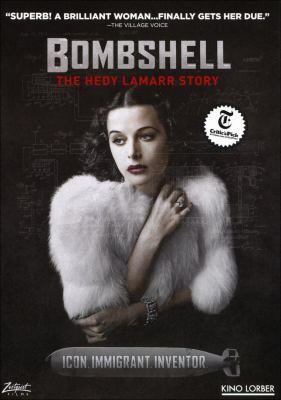 Guest post by Laura V.
After watching Bombshell: the Hedy Lamarr Story, I’m left to wonder what Hedy Lamarr would have become had she been born 50 or 75 years later. Instead of being valued solely for her appearance, would she have been given the opportunity to use her genius to its full capacity? What could the world now be like with a compassionate and caring woman at the engineering helm of invention? Could she have been another Einstein or Edison? Her intellect seems to have been squandered and that’s a shame. Along with an unearthed tape-recorded phone interview with Lamarr, the filmmakers interview her children, a friend, Hollywood notables, and her granddaughter to compile a portrait of this complex woman. Lamarr was an Austrian Jew with an inquisitive, mechanical-engineering mind from an early age. She was impacted indirectly by the rise of Adolph Hitler before making her way to the United States via London. Even on the strategically-booked boat ride to the US, she leveraged her captivating presence to land a Hollywood contract with MGM’s Louis B. Mayer and showed her fortitude by negotiating for higher pay. In a time still under the slowly-loosening grip of the Victorian era, a film she made while a teen in Austria, and that was scandalous for its time, Ecstasy, continued to haunt her most of her career. It appears she was rarely given roles she was capable of and was even cast in demeaning roles because of her “reputation.” Early on she was a devoted mother, but like so many other women who were treated as commodities by Hollywood moguls, she was given drugs for various reasons. This lead to her becoming moody and abusive. Lamarr seemed to have a complicated relationship with her image. She certainly used it to her advantage but was also resentful about not getting the recognition she thought she deserved for her intellect also because of her image. She and musician George Antheil invented and patented “frequency hopping,” now called spread-spectrum technology and used in Bluetooth, GPS, and military applications but never saw a dime for her efforts. She seemed to ultimately buy into the world’s superficial perception of her, of her value only as the glamorous Hollywood bombshell, with her many plastic surgeries and refusal to appear in public at the end of her life. Alice Teakle grows on you. In the beginning of Following Polly by Karen Bergreen, I thought Alice was pathetic and weird; I wasn’t sure I liked her. 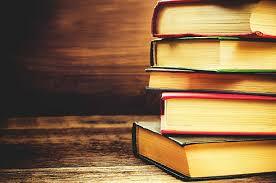 Her preoccupation, not to say, hobby, is following an old school mate, who is now a major celebrity. She seems particularly adept at sabotaging herself and any success she might achieve in work or family life. As Alice’s life starts to fall apart and she is the prime suspect in first one then another murder, I really began to respect her resourcefulness. Alice turns out to be amazingly adept at hiding from the police, and surviving on the streets. No matter how bad things ge, Alice is funny and smart (she also has a photographic memory). She is definitely not a stereotypical heroine and the plot’s trajectory is not predictable. 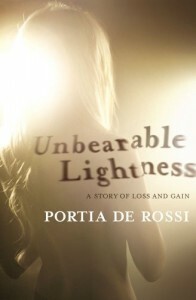 As a big fan of Arrested Development and actress Portia de Rossi, I had to be first to check out her new book, Unbearable Lightness. Though de Rossi is a very talented comedic actress, this book is a truly sad story: it details the eating disorder she suffered from since the age of 12 when she began her modeling career. Starting with a yo-yo diet that included binging and purging before photo shoots and acting jobs, de Rossi eventually became severely anorexic, eating less than 300 calories a day in order to lose weight and maintain her career. Despite the protests of her family and the fact that she at one time weighed only 82 pounds, de Rossi only saw herself as a chubby girl with big thighs and rolls on her stomach. This book was extremely shocking and really opens your eyes to what the mindset of an anorexic person is really like. De Rossi does a great job of letting the reader really get inside her head to understand why she treated her body the way she did. The pressures of staying thin in order to get jobs and being a closeted lesbian in an industry that didn’t accept gay actors really exacerbated her condition and forced her into a downward spiral of self-loathing. This book is also incredibly eye-opening into Hollywood life. Knowing how common the pressures de Rossi faced are, I can’t say I ever want to look at another fashion magazine again. Though she came out of this ordeal alive and has a very happy life with wife Ellen Degeneres, this isn’t the case for everyone who goes through anorexia and bulimia. Not only is this book very informative, it’s also an emotional and inspirational story about overcoming your personal demons, and I highly recommend it to anyone. Fed up with a Hollywood lifestyle of “doing lunch”, massive traffic jams and insincere relationships, Gesine Bullock-Prado abandoned all the things that are supposed to make you happy – money, designer clothes, access to famous stars – and escaped to the Green Mountains of Vermont. There she found peace and happiness by following her true passion – baking. In 2004 Gesine and her husband Ray opened Gesine Confectionary in Montpelier, Vermont largely on the popularity of her macaroons. Expecting to start small and build by word-of-mouth, they were overwhelmed by the long lines that snaked out the door on opening day – maybe it was the fact that Gesine’s sister, movie star Sandra Bullock, was helping at the register? Star gazing might have brought people to the shop at first but the sweet, luscious treats bring them back again and again. Pies, sticky buns, croissants, scones and cakes of all description guarantee a slew of return customers. Customers become regulars, who become friends and consultants and the empty existence of their former Hollywood life becomes a distant memory. Not everything is perfect – there are setbacks and frustrations, bad employees and unreasonable demands – but mostly it is a dream come true. 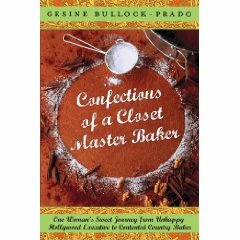 Each chapter of Confections of a Closet Master Baker – written in a wry, straightforward voice – finishes with a delectable recipe. Gesine’s stories of her beloved family and memories of her hated Hollywood job ring clear and true. For anyone who longs to drop out of the rat race and follow their passion – or for anyone that loves to eat – this is a must read!